I am writing this note to firstly thank everyone for helping my family and I through a really tough time. We have received a huge outpouring of love and support from so many people in so many ways since my dads passing and we have gained much strength through the caring of others. Thank you for sending cards, the offered masses, your heart felt letters, books and poems. This has given us will and perspective. As dads retirement was on the horizon he aspired to volunteer to help people in need, however, dad unfortunately was diagnosed with vascular dementia just before he retired. It was at this stage that Mom asked me to make a studio recording of my dad singing and playing guitar. Dad was really excited to record songs that he had performed throughout his musical career. Even though dad was in the early stages of vascular dementia, he really enjoyed this experience and as always, he gave a heartfelt performance. Dad recorded two songs. The first song we recorded was In My Life by The Beatles. The second being The Air That I Breathe by The Hollies. Throughout the years that dad had been ill, music was a saving grace. Dad would sit and listen to music for hours. Music was a language that dad still understood when everything else around him was becoming less clear. Since then, I have learned that the part of the brain that is stimulated by music is one of the last areas to be effected by dementia. With this in mind and from what I have experienced with my own dad, music is a very effective way for dementia patients to find some normality, stimulation and happiness. It is only in recent years that the people of Ireland have been made more aware of dementia but sadly dementia has become somewhat an epidemic and needs much more research and development, carers, volunteers and in many cases, an office facility. My family and I were so very lucky to have wonderful care staff enter our home. They talked with dad, sang with dad and shared many laughs together. To the Byrne family, these carers truly are angels. When dad passed away we played his recording at the funeral mass where dad took the stage for the very last time. We would like to shine some light on the fact that coping with dementia in Ireland needs to be put on the map. 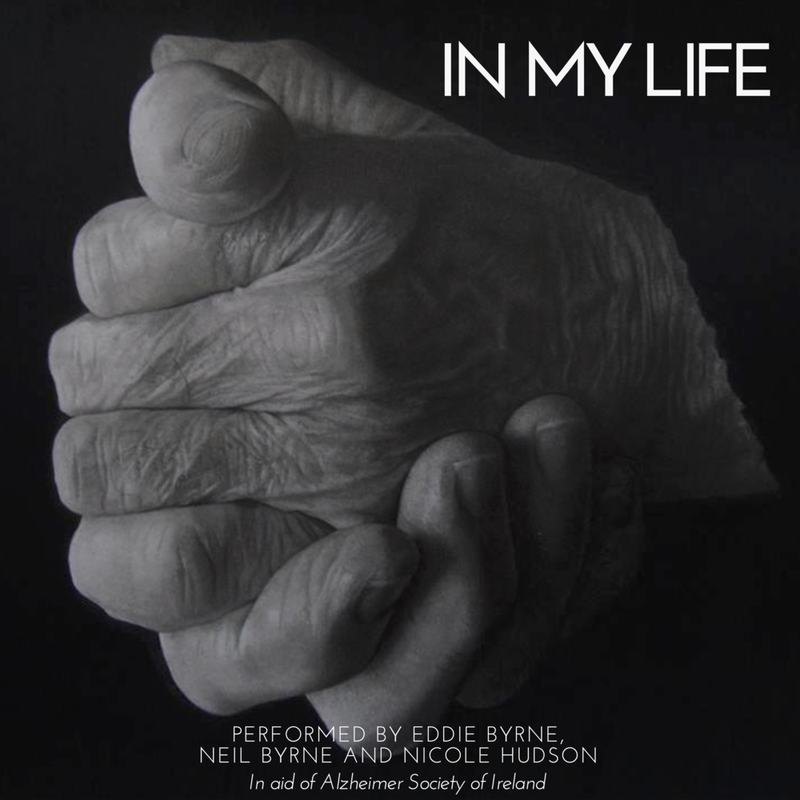 We wish to upload one of my dad's recordings for digital download and release it on Friday, 17th of August 2018 here on the Byrne and Kelly website. 100% of the proceeds will be donated towards the fight against this awful disease. Hopefully through our story, together we will help others find the peace and connection music can bring to those that have been deprived of their faculties. This song is written in celebration of true love and this recording celebrates dads love for life and music. Donating these proceeds will also bring my dads wish to helping others, come true.